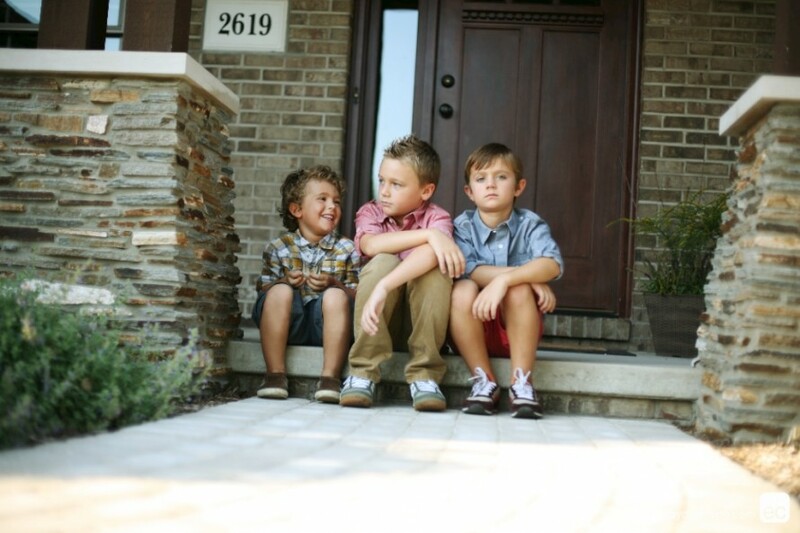 These three little guys are sweet and sincere (like their mom) yet 100% tough and tumble. I may have used a few more bribes then usual during this session but it was hotter then we expected for early September. The three (plus dad) "suffered" along knowing they had been promised a splash session when we finished. The idea of cannon balling into the pool had kept them smiling and cool most of the evening.